One of the most prolific stars in Tamil cinema, STR has been basking in the glory of Chekka Chivantha Vaanam and Vantha Rajavathaan Varuven over the past one year. Simbu will next be teaming up with Venkat Prabhu for Maanadu to be produced under Suresh Kamatchi’s V House Productions along with Jai in an important role. With production on Maanadu expected to kick-off soon, Suresh Kamatchi took to his Twitter page to announce that STR is now off to the UK for a short break and will be coming back rejuvenated before joining Venkat Prabhu’s film. 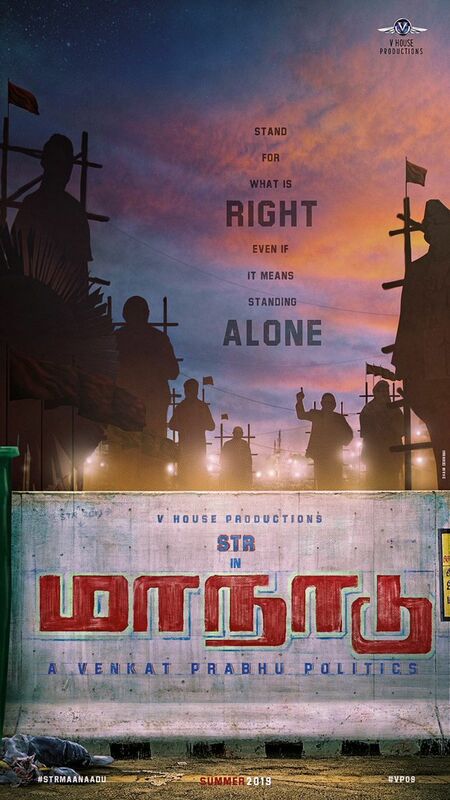 Expectations for Maanadu have been massive among Simbu’s fans ever since the film was announced last year with many wanting to watch the swashbuckling star in a political film for quite sometime.